BIOMOR® Curcumin contains no additives. Consumers find advertising claims for curcumin are confusing because so many different standards are used for making claims of improved absorption. Compared to What Potency (2% or 95%)? 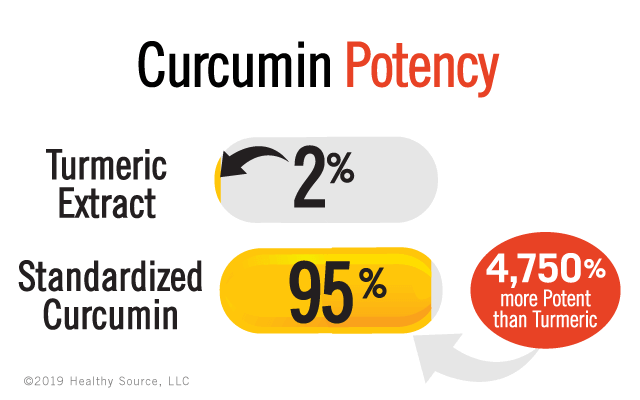 There's a huge difference in potency between turmeric and 95% curcumin. (The difference is a whopping 4,750%!) 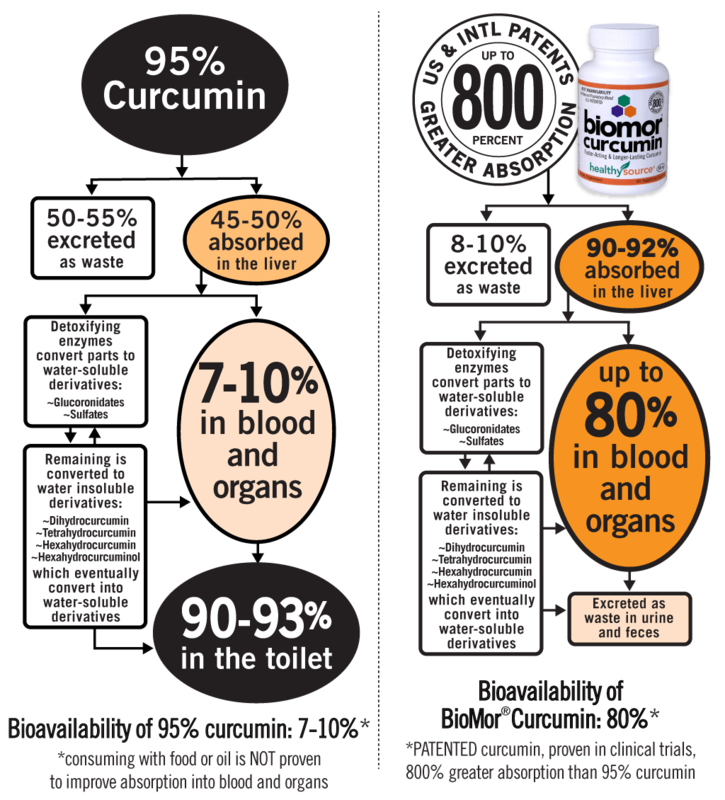 Careful readers notice where newer curcumin brands inflate their product claims by comparing their curcumin products against turmeric (which is 2% "native curcumin") whereas others compare against 95% curcumin. 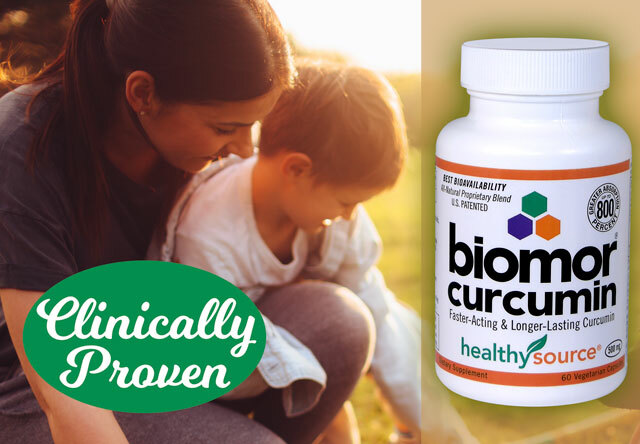 The potency of BIOMOR® Curcumin is 95% curcumin and our clinical studies compared against products of the same potency. In clinical trials, bioavailability is measured in the blood. Contrary to a popular theory, consuming curcumin with various oils or a meal does not improve absorption of curcumin into the bloodstream, as demonstrated in human trials where curcumin levels were measured by taking blood samples (see below).